Farmscape is produced and distributed as a public service by Wonderworks Canada Inc. in association with Farmscape partnering radio stations and Farmscape supporting sponsors. 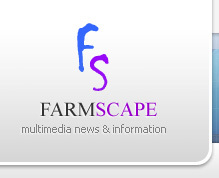 Farmscape articles may be reproduced in their entirely and must include appropriate credit to Farmscape.Ca. Articles posted to internet web sites and/or distibuted through email must also include links to the article on the Farmscape.Ca web site. Farmscape Audio may not be used without prior authorization (written or email) from Wonderworks Canada Inc., one of Farmerscape's partnering radio stations or one of Farmscape’s supporting sponsors.